Kids, Cows and Grass: Beef French Dip - My sister is an amazing cook! Beef French Dip - My sister is an amazing cook! This is my sister...I call her Amy Lou! We're pretty close in age and both being raised by parents who told us we could do and be anything, we both chose ranching. She lives about 30 miles east of me and we are both busy on our ranches, so we don't necessarily see each other too often, but we have fallen into the habit of calling on Wednesday mornings. Amy married into a family that owns a couple of livestock sale barns and she works there on sale days. So after she finishes cattle chores, feeds her two teenaged boys and gets them off to school, she has a nearly hour-long drive to the sale barn through rural roads. Even though the cell signal is spotty, we usually get to catch up a bit before she arrives in town at the barn and gets to work. 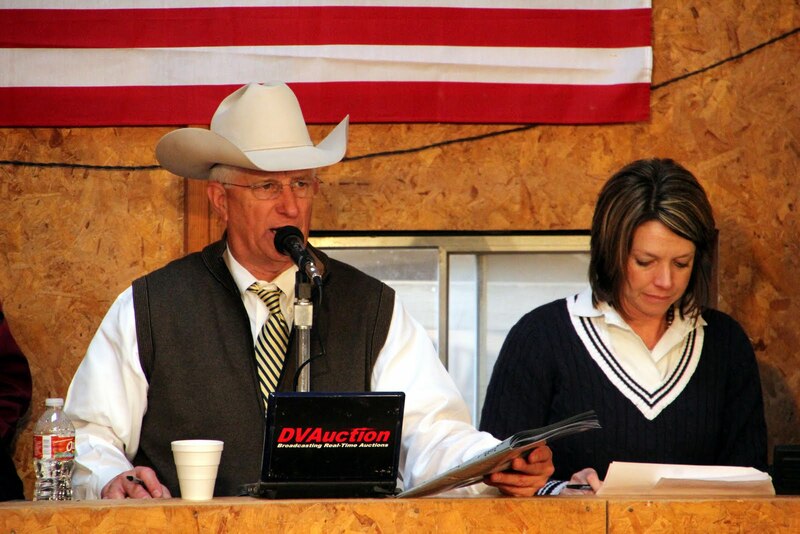 Amy works alongside the auctioneer at our family's annual bull sale. Amy is a typical rancher--she seems able to do nearly everything! 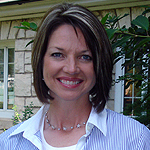 She is involved on the ranch every day, volunteers at the school, follows her boys' ball games, and is on the board of directors for the Kansas Foundation for Agriculture in the Classroom. She graduated from college with a degree in journalism and uses her degree today to write classroom materials for the program. If you're interested in more information, check out their website. 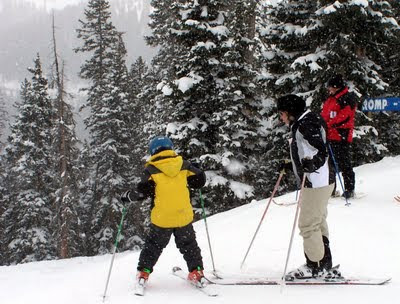 Amy is an excellent skier, too! She's helping her youngest son get the hang of "Pizza" heading downhill! But this blog post isn't just about Amy...it is about Amy's cooking! She is awesome! I suppose feeding two boys and a husband who works outside on the ranch all day has made her a great cook. She must have been a good cook all along, but keeping her hungry boys fed has helped to make her a great cook! I really do look forward to going to a family dinner or potluck to see what she'll bring. A few years ago, we were skiing with Amy and her family and she brought the makings for her "famous" french dip sandwich. We dumped it all in the crockpot for the day and when we got back from the slopes, we had a hot, delicious meal waiting for us. She agreed to share the recipe with you all now! I hope you enjoy it! 1. Trim fat from roast and place in slow cooker. Add broth, soup and beer. Cook on low 7 to 8 hours. 2. 2. Before serving, split rolls and spread with butter. Put on cookie sheet, split-side up; bake 10 minutes at 350 degrees. 3. 3. Remove beef from slow cooker, slice on diagonal and put on rolls. Serve with sandwiches with individual bowls of broth for dipping. Amy says, "I usually serve with tater tots or French fries for dipping. Easy to make and excellent!" And I totally agree! Glad to have found you true the rural women rock facebook page! This recipe sounds delish and Easy!! Thanks for sharing! 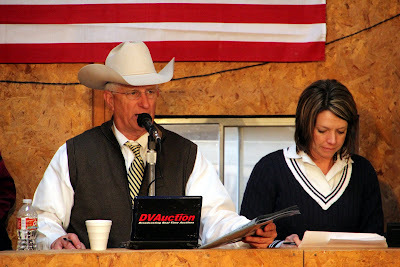 I too work at a livestock auction...my father-in-law and husband run it and are the auctioneers...our sale is on Wednesday too! Just curious which barns she works at? Tell her "Thanks" for the recipe! Awe how sweet. Nice to hear some sibling and family love. This recipe sounds great. I will have to try it with my ranching husband and five growing, always hungry kiddos.